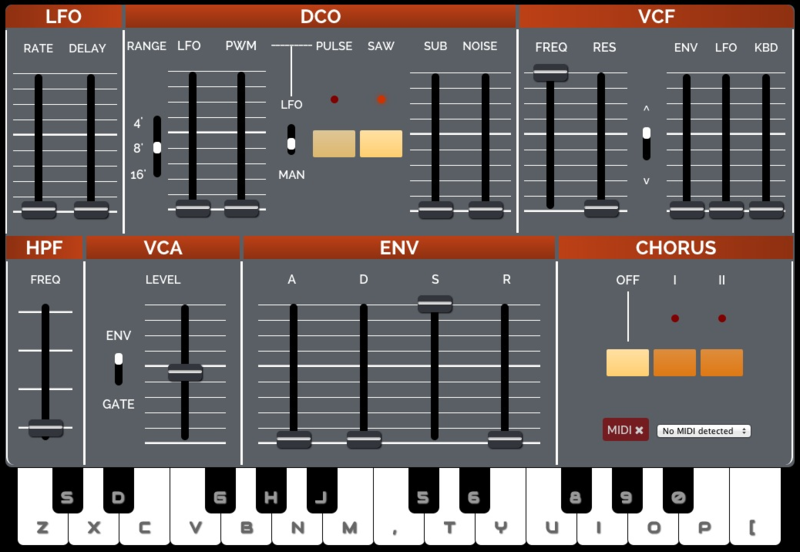 106.js: Roland Juno-106 emulation in your browser! Polyphonic and MIDI enabled, meaning you can hook up a midi keyboard and controller and use the synth without having to look at the screen or use your computer’s keyboard. If you’d like to check out the source, it’s an open-source project on Github where you can also find the manual if needed. You can play with it here, or own my own site, Synthles, where I’ve installed it as well!